August 28, 2014 New York – When it comes to fashion, they are the masters of the game. Fashion One, the premiere fashion, entertainment and lifestyle international broadcaster, introduces a brand new special program that highlights the life and works of the world's top fashion designers starting this September on Fashion Masterminds. Discover the history and design evolution of the most influential fashion engineers of our time in this mini-biopic series. Fashion Masterminds will feature famous designers that are considered masters of the craft. It will delve into the designer's beginnings, career, and the critical turning points, including iconic collections, responsible for creating their fashion empires. Among the personalities to be showcased are retail fashion guru, Michael Kors and one of Forbes' most powerful women, Tory Burch. No one embodies American fashion more than Michael Kors. This September, the centre stage has been set for the New York City-based fashion designer who has dressed countless celebrities and is famously known for designing US first lady Michelle Obama's first official portrait. With Kors' simple, elegantly tailored clothing with constant new lines and his TV show appearances, KORS fashion empire continues to grow making him one of the masters of fashion. October's offering will be another American fashioner going by the name Tory Burch. If MK had Michelle Obama, Tory had Oprah. After dubbed by the media queen as "the next big thing in fashion," Burch has created a multimillion-dollar lifestyle brand in a very short time. Her popularity continues to increase with the "new Hollywood" celebrities wearing her brand as well as her various TV and film appearances. Her product line's versatility has won the patronage of the general public. Tory's golden hand in business and philanthropy has earned her the title as one of fashion's most influential women. "We have constantly featured the latest collections from the best designers in the world but rarely do we hear how these fashion leaders strive to become what they are now," says executive producer, Ashley Jordan, "This series is our homage to the famous designers of today, giving viewers a glimpse of their career life and discover what makes them fashion masterminds. The channel is looking forward to bringing more masterminds into spotlight in the future." 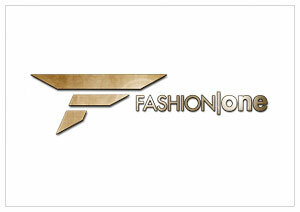 Fashion Masterminds: Michael Kors premieres on September 18, Thursday at 21:30 (GMT+8 for Asia / GMT+2 for Europe), exclusively on Fashion One. Check your cable operators for your local TV channel listing. Watch out for Fashion Masterminds: Tory Burch coming this October. Fashion Masterminds is a Fashion One special programming series. The show is created by executive producers Michael Gleissner and Ashley Jordan, with Aida Murgia as series producer.